We are pleased to announce the launch of our free Training Series Webinars. Our one-hour online sessions will introduce a variety of topics, and will feature demos which will help you in your day-to-day tasks with our systems. 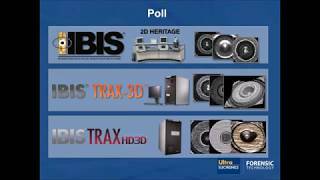 Our webinars are available to all our customers worldwide, in English only. Click on one of the topics below to register. 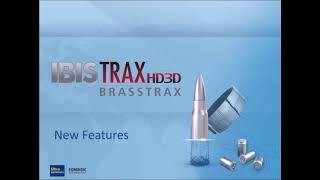 IBIS® TRAX-HD3D™, the world’s most advanced, accurate, and easy-to-use ballistics identification solution, offers exceptional 3D imaging, advanced comparison algorithms, and a robust infrastructure. With unparalleled 3D viewing tools, MATCHPOINT™ the firearm expert’s analysis station—provides various composition textures for an enhanced viewing experience, making it easier for users to interpret the markings and reach a conclusion. 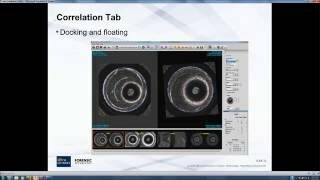 This webinar guides you through best practices for the operation of the BRASSTRAX Acquisition Station, including advice on protocols surrounding case and exhibit information, loading of the cartridge case holder, positioning cartridge case regions of interest for image acquisition and validation of these images. 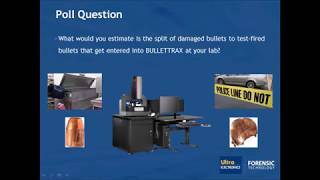 This webinar provides best practices for accurate acquisition of damaged and fragmented bullet surfaces, including commonly encountered issues, evaluating a bullet’s surface, how to prepare a bullet for imaging, how to mount various types of damaged bullets (e.g., intact base, damaged base, curved and flat fragments). This one-hour webinar will introduce these new features, including: changes to case and exhibit information fields, shorter acquisition time for pristine bullets on BULLETTRAX™, new acquisition procedure and correlation of unrifled bullets.